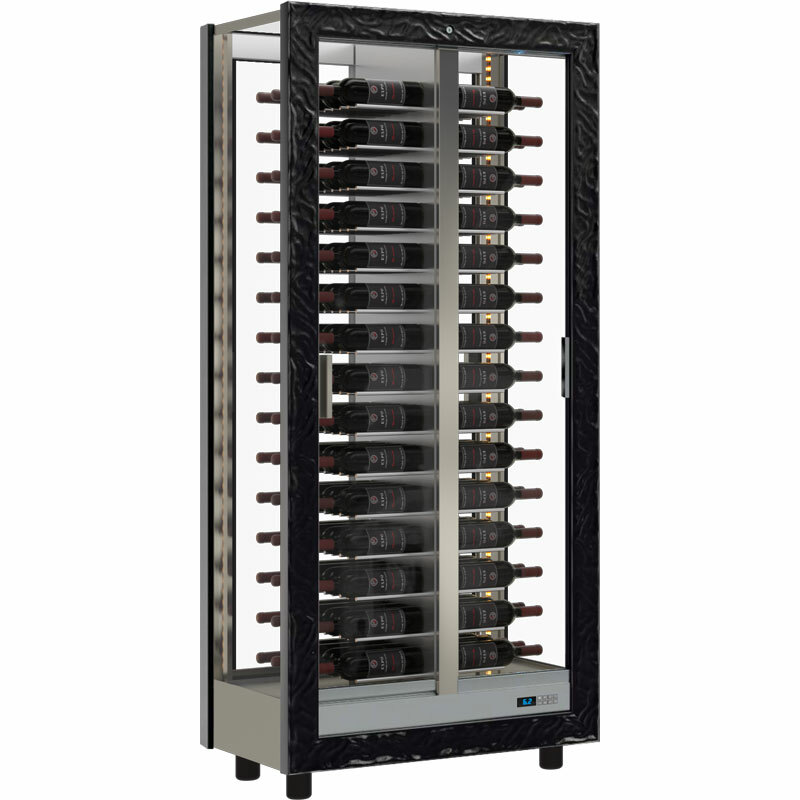 The Teca Vino wine cabinet is elegant, minimalistic and offers the perfect 360 degree display to show off your collection. Teca Vino has an aluminium structure covered by a finishing frame in wood, made from different shapes and colours to match your décor. It’s equipped with an innovative cooling system based on the positioning of the cooling evaporator in the middle of the showcase. 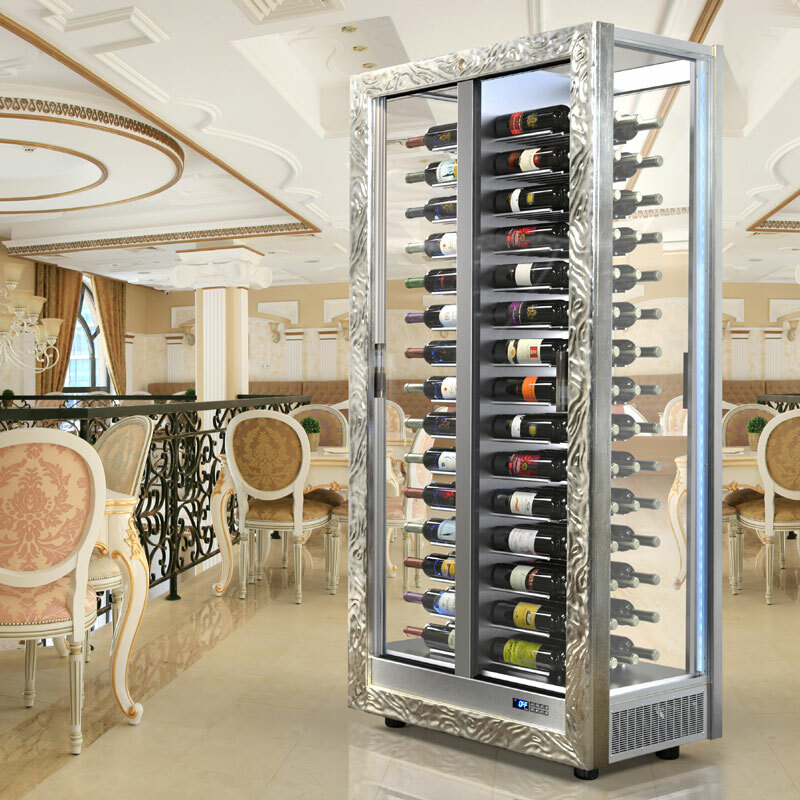 This system, in addition to ensuring the best cooling performance, shows off your wine collection with the use of glass on all four sides and consequently the maximum visibility of the exposed bottles. White LED lighting is standard, but you can upgrade to the RGB LED Colour Lighting. This enables you to change the colour of the interior light, a remote control allows you to choose from various colours, set lighting effects and dimmer. The LED light strips sit vertically in each four corners of the cabinet, the light is therefore thrown around the cabinet thanks to the reflection of the four walls of glass. The cabinet has two double glazed sliding doors at the front and two double glazed sliding doors at the rear, giving you easy access to load and withdraw your bottles. Both front and rear doors are lockable, so if you're placing the cabinet against the wall you simply lock the rear doors and place the cabinet against the wall. 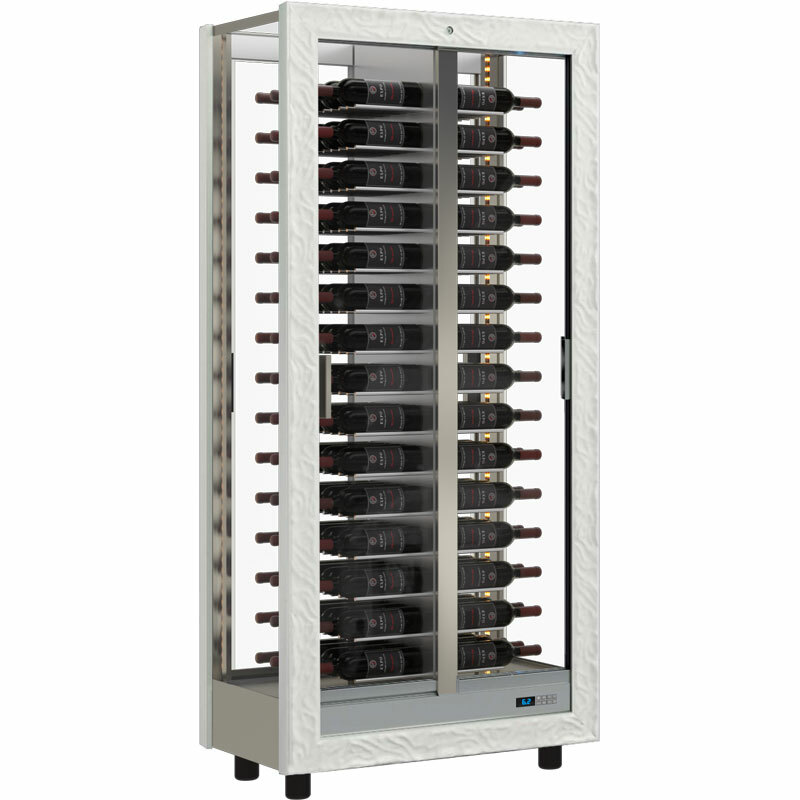 The Teca Vino TV10V can store up to 120 standard sized bottles, whether it be for wine or champagne. They lie horizontally side by side on rods either side of the middle section. The temperature is controlled by a digital control board located at the bottom of the front of the cabinet. 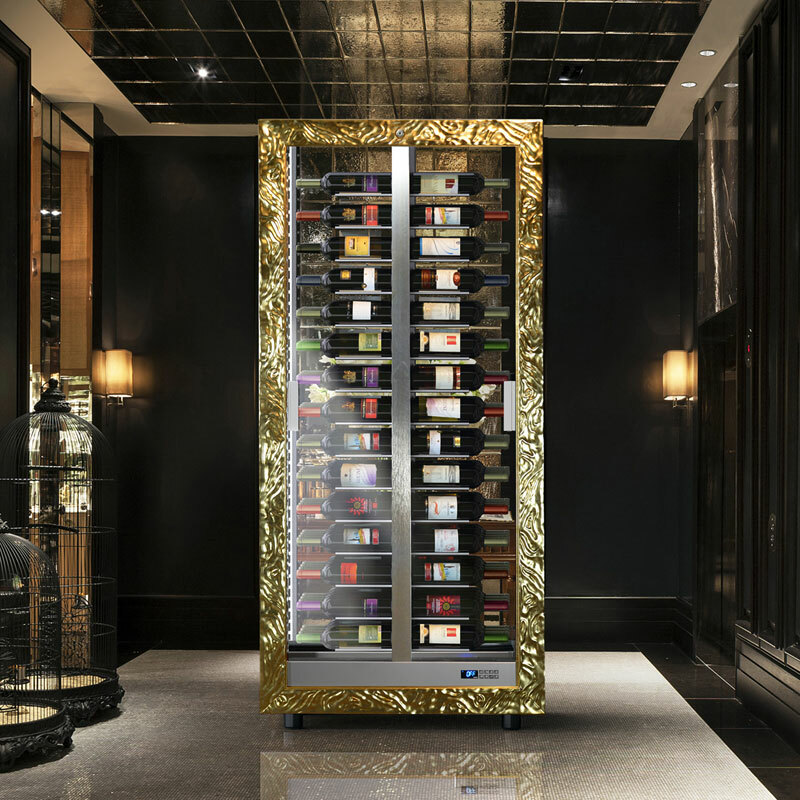 The cooling system works by an innovative refrigeration system based on the positioning of the cooling coil upright in the aluminium centre of the cabinet. The compressor, condenser and tank are all located in the lower section of the cabinet, all of which are not visible through the glass. The cabinet is available in a variety of different Dune finishes, Matt Black, Matt White, Gloss Black, Gloss White, Gold Leaf and Silver Leaf. 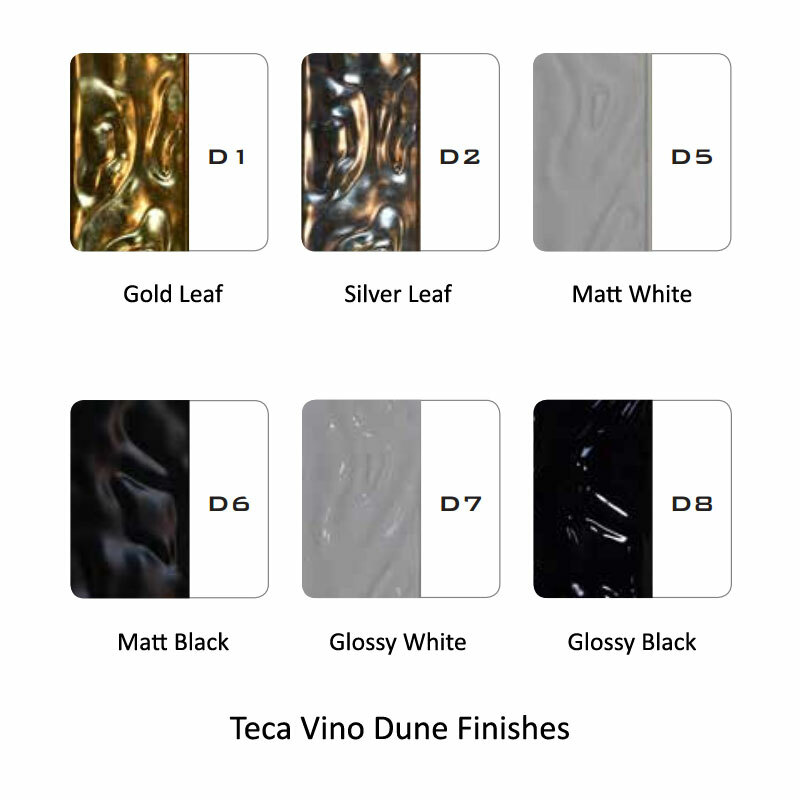 The Teca Vino TV10V is also available in a Linear Finish. The price shown includes Free Mainland UK Delivery. Cabinets take 5 - 6 weeks to be delivered, availability and delivery dates will be confirmed. Multi Temperature wine cabinets will keep your wines at serving temperature designed for short term storage. Click here to view the TV10V online brochure. Please inform us if you require your wine cabinet to be delivered up or down stairs, otherwise the courier may only be able to deliver to the ground floor. Wineware Price Match: Click here to view Wineware's Price Match.